(New Braunfels, Texas - Tuesday, June 26, 2012) - Successful Quarter Horse breeder Allen Emil Moehrig of New Braunfels, Texas passed away on June 24, 2012 at the age of 81. He is scheduled to be inducted into the Texas Quarter Horse Association (TQHA) Hall of Fame in October. Allen was born to Hugo and Edna Orth Moehrig on October 1, 1930 in Bracken, Texas. He was preceded in death by his parents; son, Bobby Allen Moehrig; granddaughter, Kristy Applebee; brother, Elroy Moehrig. Allen is survived by his loving wife of 61 years, Jeanette Hoffmann Moehrig; son, Dennis Moehrig; grandchildren, Kayelyn Scofield & husband, Jesse, Kandace Moehrig & Stacy Woodward, Jennifer Boos, Melissa Moehrig; great-grandchildren, Kelsey, Treyvon, Taynise, Carmello and Chance; sister, Melva Neuse; brothers-in-law, Larry Hoffmann & wife, Linda, Wayne Hoffmann & wife, Beverlyn, Stanley Hoffman & wife, Mildred; sister-in-law, Arlene Moehrig. The Moehrig family came to the U.S. from Germany in 1850, settling in Bracken where Allen was born prior to moving to New Braunfels. Allen was one of the original High Toppers Band formed in 1948 and he went on to start his own band named “Allen Moehrig and the Rhythm Riders”. He owned and operated a Sinclair Service Station across from the Hospital for 9 years before moving to the Texaco Station on the plaza for 14 years. Allen then began breeding Quarter Horses on his ranch in Seguin for 40 years, where he raised four World Champion Quarter Horses and became the only breeder of Triple Crown Quarter Horses at Ruidoso, New Mexico. 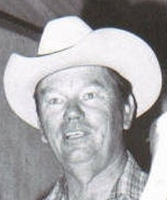 He was very influential to the Quarter Horse industry. Visitation will be held on Tuesday, June 26, 2012 from 6:00 p.m. until 8:00 p.m. at Doeppenschmidt Funeral Home, New Braunfels. Funeral Services will be held at 10:00 a.m. on Wednesday, June 27, 2012 at First Protestant Church. Interment will follow at Comal Cemetery.